Perhaps this is my first article, in which I want to talk about what has caused difficulties in communication when something I myself still in the school years, and now my students — people who want to speak English fluently. Therefore, I thought it was the same problem faced by many others, are looking for answers, ask questions. I hope this article will answer directly to many of them. Certainly, few foreign language learners reflects directly on a narrow topic as «The names of the trees and shrubs in the English language», but then absolutely everyone is faced with it and understand that it is not so great his knowledge in this area. And it does not mean that the knowledge of this language is necessary only to people with similar professions or collectors. Think for a minute about your standard story in Russian about the next road on nature, the countryside, in the woods. How often do you mention things like «set up camp under the big oak tree», «rested in the shade of a birch leaf», «and in fact the best wood for a shish kebab — a cherry,» etc. None of us can say with certainty that never in any conversation does not use the names of various trees and shrubs. In addition, there is a category of people whom we call «gardeners», and they also learn a foreign language and love to talk about what gorgeous fruits in their hacienda. And once these talks are possible in our lives in their native language, then why not talk about it in English. Worth over light meadow (meadow / margin). Skylight in the sky, that little window. It comes in a colorful tower. Once again, we find only one stanza use six words, one way or another connected with trees, shrubs and other plants. So, in this article we will try to remember the basic and the most popular names of trees and shrubs (trees and shrubs) in the English language, as well as a look at some of them in the light of history, mythology and traditions of the British Isles. Of course, I would like to start with the trees and shrubs that are close to us in our real life, the ones that surround us every day and are used by us in the ordinary conversational vocabulary. Go not very far from our yard or my grandmother’s garden, we immediately meet the eye spreading pear (a branchy / spreading pear tree), heady smell of linden (a linden / lime tree, intoxicating with its scent), inviting ripe apple fruit (an apple tree , waving with its ripe fruits), mighty walnut (a mighty walnut) and beautiful mountain ash (a beautiful mountain ash / rowan). We leave the gate, leaving the dusty city, closer to nature, to the river, to the forest — the picture is completely different. We were met necessarily birch with ёё long, dangling branches that barely stir (a birch with its long-hanging branches scarcely stirring), a huge oak tree (a huge oak), which barred him slender aspen (a thin aspen), as if to protect her and then — beeches (a beech), elms (an elm), high alder (an alder), north — ate (a spruce) and mast pines (a mast-like pine), heather (a heather) and hawthorn (a how-thorn). We go down to the river and sits down in the shade of a willow flat (a gentle willow), a bit further which majestically stands ash (an ash). But all of these trees and shrubs characteristic of most of northern and central Russia, and that if we will go to the sea, to the south. There’s a completely different nature. At the entrance to the hotel we were warmly greeted myrtle (a myrtle) and oleander (an oleander), in a nearby park we will find cypresses (a cypress), palm (a palm tree), sycamore (a plane / sycamore) and eucalyptus trees (an eucalyptus). In the yards of local residents eyes delight figs (a fig tree) and dogwood (Cornelian cherry), olive (an olive) and Laurel (a bay), sea buckthorn (a sea-buckthorn) and rose hips (a dog-rose / rose hips). And it’s nice stroll along the juniper grove (a juniper grove), stand for a few minutes, breathing in the scents of jasmine (a jasmine). And then the holiday is over, and we go back to our hometown, which, if you look closely, such a beautiful and unique in the greenery of chestnut (a chestnut), poplars (a poplar), maple (a maple), the smell of lilacs (a lilac bush) and acacia (an acacia), in the colors of an elder (an elder). So, as noted in the video file on the belief, elder wood can not burn because you risk causing the devil, and the house it is best not to bring — in any case, to this day it is believed by the people of Britain. For example, Douglas Monroe, in his book «The Lost Book of Merlin» tells the legend of the ancient Irish Failinne, who was king of tiny people, next to which even dwarfs looked giants. These people were engaged in that caused all kinds of damage to their homes if they did not leave the people on the steps of the elderberry wine thimble. Elderberry wine — this is one of the very first wines, referred to in Celtic mythology. It is also a good example of a Canadian flag, which depicts a maple leaf (a maple leaf). 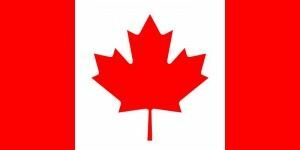 He appeared quite wrongly, as during the formation of Canada as a separate state was a competition for the best design of the flag — maple leaves were the most popular among the authors. To this day, women in Britain, wondering at the narrowed, becomes mandatory under the apple tree, because they believe in the fact that it helps to find happiness in love. Under the same tree they perform so-called «apple Song» (apple songs). In the mythology of Britain and Ireland, there is also a tale of alder (an alder), according to which an alder tree is sacred and represents the king-god Bran. The legend says that all the prophecies that have expressed embalmed in the juice of alder head of the king, came true, so alder associated with the protection and the ability to foresee the future. But perhaps the most recognized tree can be called Oak (an oak), which is the national symbol of several countries, including Britain (England), Wales (Wales), United States (USA), France (France), Germany (Germany), Estonia (Estonia) and many others. And in Estonia oak leaves even depicted on the emblem of the Army. In Britain, the oak is the official symbol of the Conservative Party (Conservative Party), and in Ireland — the Party of the Democratic Progressive (Progressive Democrats Party). Anyone who sits down a tree, sits down, and hope — He who plants a tree plants a hope. Driver’s license or driver license!